In 2005 I began my career in spirituality and personal growth. I led talks throughout NYC on topics like manifesting, wellness and meditation. At the time the wellness conversation wasn’t a trend. No one was drinking green juice or eating gluten free, and meditation was something you might do once in a while in a yoga class. As the years passed I started to notice a new zeitgeist. My coaching workshops grew larger and my lectures were standing-room only. There was clearly a deep desire for self-care and personal growth. Alongside the spiritual trend I started to notice a lot of my audience members leaving their jobs to become health coaches. They were getting super passionate about their own health and well-being, as health consciousness was on the rise. These women were finding that through their own journey of healing they were being guided to heal others and make it their profession. And there was one place they all studied: The Institute for Integrative Nutrition (IIN). I was blown away by these confident, health-conscious, business-savvy women who were graduating from this program. Since so many of my audience members, readers and students were graduates of IIN I knew it was time for me to check out the program more. I was introduced to the IIN team and founder and fell in love with their program. I even agreed to be a guest teacher for one of their courses. What I loved most about this program was that it was giving people an opportunity to turn their passion for health and wellness into their profession. 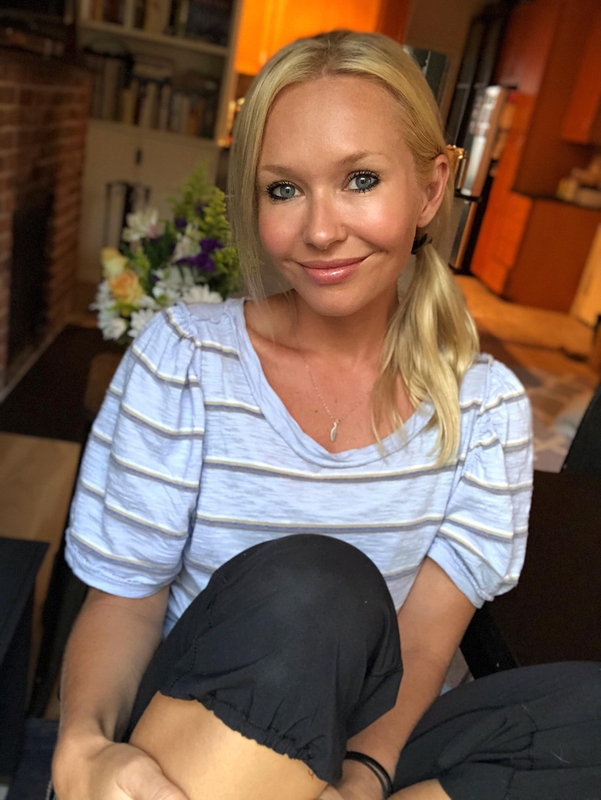 My best friend Jenny Sansouci took the IIN training and shortly after she left her job to become a full-time health coach and wellness blogger at age 28. Jenny has been self-employed ever since. She’s built an awesome business and lifestyle brand that allows her to travel all over the world reporting on new health trends! 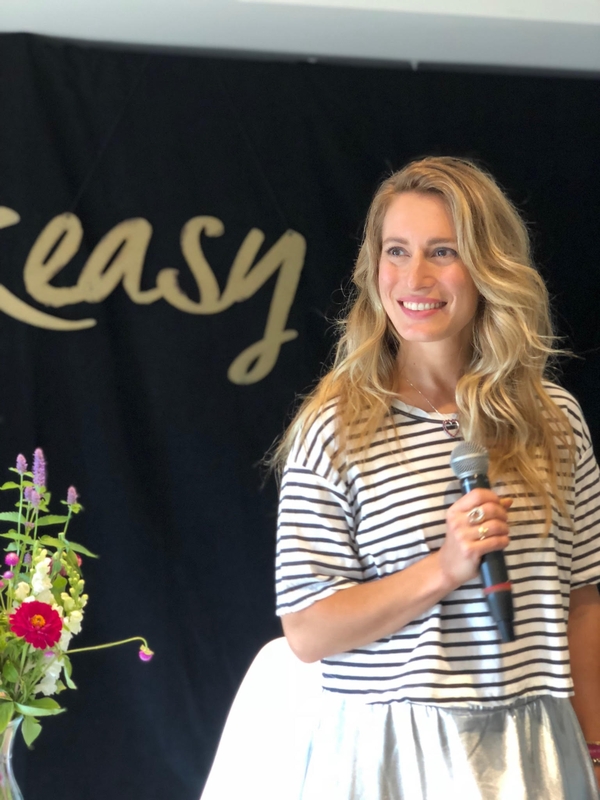 My other spiritual sister Robyn Youkilis took the IIN training and left her full-time career at age 29 to start her own health coaching business. 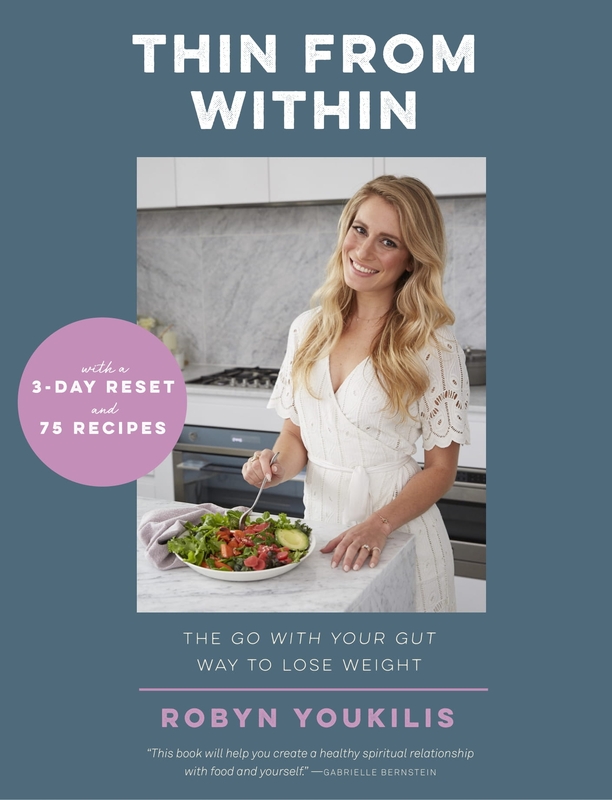 Today Robyn has written two awesome books on gut health — Go with Your Gut and Thin from Within — and has a thriving health coaching business. Robyn is a rock star in the wellness world and owes all of this to her training at IIN. And another amazing example of a trailblazing IIN grad is my friend Arielle Haspel aka @BeWellWithArielle. 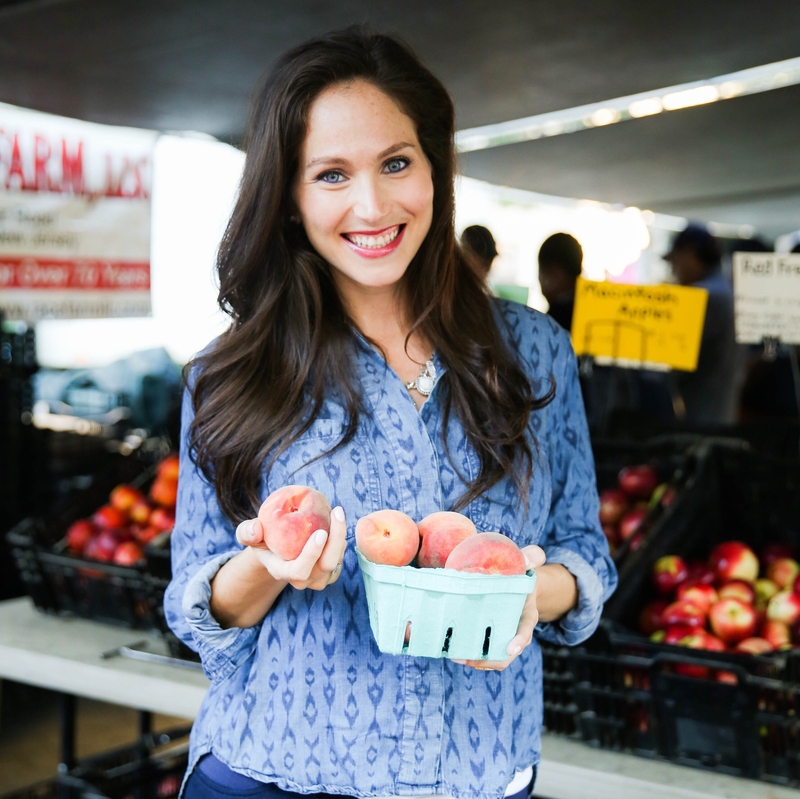 Arielle turned her Institute for Integrative Nutrition degree into a super-successful wellness business. Arielle landed her own cooking show on Glamour.com, built a super-savvy brand online and she’s opening a healthy, gluten-free Chinese restaurant in 2019 called Lucky Lee’s! They are passionate about health and wellness. Their health journey healed them and therefore inspired them to heal others. They wanted to leave the corporate grind and have their own wellness-based business. They wanted to be of service to others in the wellness industry. They wanted to create a fulfilling new career doing something they love. They longed for career flexibility. Do you get really nerdy about the latest superfood trend or the easiest way to get more greens into your diet? And would you love to make your passion for wellness your career? IIN is opening up the entire first module of the Health Coach Training Program to give you a taste of what it’s all about! It covers more than 100 dietary theories. You’ll study everything from macrobiotics to veganism. You’ll also be your first client and discover what works best for you so that you can help others find their best fit. World-renowned health experts teach at IIN (including me). More than 100 of the best teachers in the world lead classes at IIN, including my dear friend Deepak Chopra, Andrew Weil, Dr. Oz and Mark Hyman, plus inspiring doctors and researchers who are leading the global shift toward wholesome health. They will help you explore what it means to live a holistic life! You learn essential coaching & business skills. No other nutrition school on the planet will help you actually launch a business! You’ll learn how to define your target audience, attract clients, market your brand, sell your awesome services and create an authentic business model. You can learn anytime, anywhere. You can access the Learning Center from your smartphone, tablet or laptop. Incredible support & encouragement. When you attend IIN you can connect and engage with an amazing community who will help you stay motivated. And most of all I’ve seen IIN give my best friends the greatest gift of all: freedom to do what they love, serve others and be abundant! Check out Robyn (above, right) teaching at Wanderlust in L.A.!! I enrolled at the Institute for Integrative Nutrition with no money to pay for school and no family support. I struggled with food and weight issues for 23 years and was scared to even try this new approach to nutrition and life. But from the day that I enrolled, I received support, guidance and encouragement like I’ve never experienced before in my life. Within four months of attending the school I had several clients and was learning and earning. And within one year of graduation I now earn in one hour what I made in a entire day’s work at my traditional full-time day job. I loved the school experience and truly believe that if you have any sort of unfulfilled dream that is waiting to be realized, the Institute can help you to make it a reality! The school has trained more than 100,000 people from all over the world to become Health Coaches through its online Health Coach Training Program, which takes only one year. One of my favorite things about the program, aside from all the incredible nutrition theories you learn, is how flexible it is. IIN’s Learning Center is totally digital, so whether you’re on your way to work, jogging at the gym, or in between clients, the program easily fits into your life. I’m proud to be one of the guest teachers in the training, and countless Spirit Junkies have graduated from its program. If you’re ready to take your personal health and happiness to the next level, start a career in the wellness field, or strengthen your current career in wellness, this is THE program for you! And since I’m a good friend of IIN’s, you can experience a FREE CLASS to learn what the program is all about about — just in time for the next class start date on May 13, 2019! There are plenty of programs to certify people as health coaches. Why IIN? I clearly love IIN, but you might be wondering if it’s the best fit for you. So, I’m going to be completely honest and transparent with you about why I think their program truly is the best, and why I recommend their program over others. First and foremost, they’ve been doing this for more than 25 years. Almost 60% of the curriculum is taught by the leading experts in the field of nutrition. They are the pioneers for new ideas, theories and direction in nutrition today. Are there other programs out there teaching great stuff? Of course! But none are as comprehensive and in-depth as IIN. One element I really love about IIN is that business training is included. They call it “your business in a box.” Even if you don’t think of yourself as an entrepreneur at all yet, this program can help you to develop a successful business. 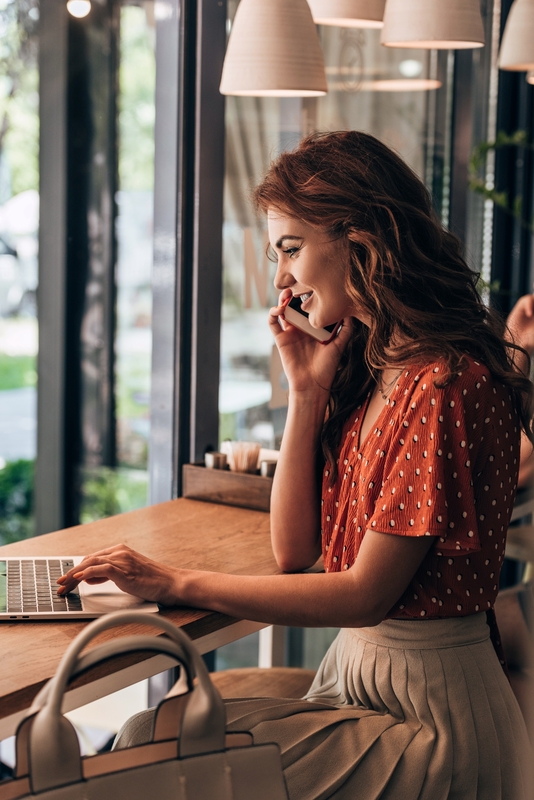 As an IIN student, you’ll get all the marketing tools, business tools and support to help you build a practice — including a free website, business cards, forms and contracts. PLUS, most students earn their tuition back from seeing paying clients before they even graduate. Amazing, right? I believe IIN is one of a kind. No other program has been around for 25 years and has more than 100 visiting teachers in health, wellness, business and marketing. But one of the absolute best thing is the friendships I’ve seen created during and after the program. There are 100,000+ students and graduates in 150 countries around the world, and it’s through this community that you can really find your niche and calling. One other thing that I have to mention is their work in Washington. IIN is working tirelessly for the rights of Health Coaches and citizens of our country to ensure everyone has a right to good health. Tuition for the Health Coach Training program is $5,995 and includes everything needed for the course. IIN also offers personalized payment plans to help you balance your finances as your pursue your dream of becoming a Health Coach. What is included in the cost of tuition? Is there an additional cost for materials? All of your materials are included in the cost of tuition and are all online in digital form. Part of what IIN does is provide you everything you need in order to make your year with IIN as successful as possible. Pre-course group calls and monthly course check-in calls. These calls are different from coaching circle calls and not mandatory or part of the graduation requirements. All calls are recorded and saved in the connect section of the Learning Center. IIN is recognized by the New York State Department of Education and its course has been evaluated by the National College Credit Recommendation Service for up to 40 college credit equivalencies. IIN’s program can be used for credits toward a bachelor’s degree at many schools across the country or toward a master’s degree at some schools as well. IIN also has a special relationship with the IAHC, the International Association for Health Coaches, so after you graduate you can receive an additional certificate to formalize your credentials. What will I be able to do at the end of the Health Coach Training Program? Check out some of IIN’s successful graduates and what they’re doing as Integrative Nutrition Health Coaches! How much time do I need to dedicate to the course? The majority of IIN students are busy balancing work and family, so the curriculum is designed to fit into a busy schedule. New course information, broken into weekly modules, is released every week, totaling 40 modules. After every 10 modules there will be a test with a two-week window to complete, and during this time no new module will be released. New modules aren’t released during major holidays. Students spend between 5 and 8 hours per week on the course. 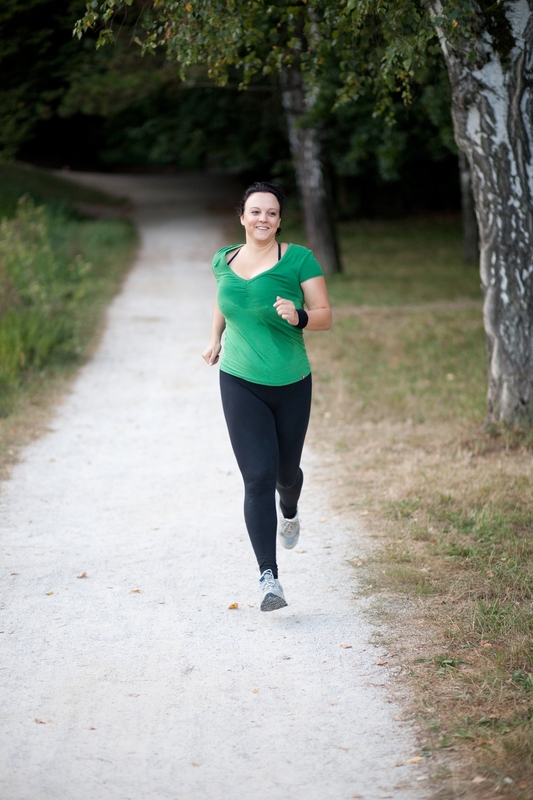 The Health Coach Training Program was built for busy people! You can access the program on a smartphone, desktop or tablet so you can learn anytime, anywhere! What if I miss a week or have a vacation planned? That’s okay! Modules will remain open and you can catch up if you need to take a week or two off. What elements are covered in the business portion of IIN’s curriculum? What topics are covered in the coaching portion of IIN’s program? You will learn HOW to coach — how to conduct initial Health History consultations and lead clients through a life-changing 6-month program. You will learn how to develop a private practice during your year at IIN. 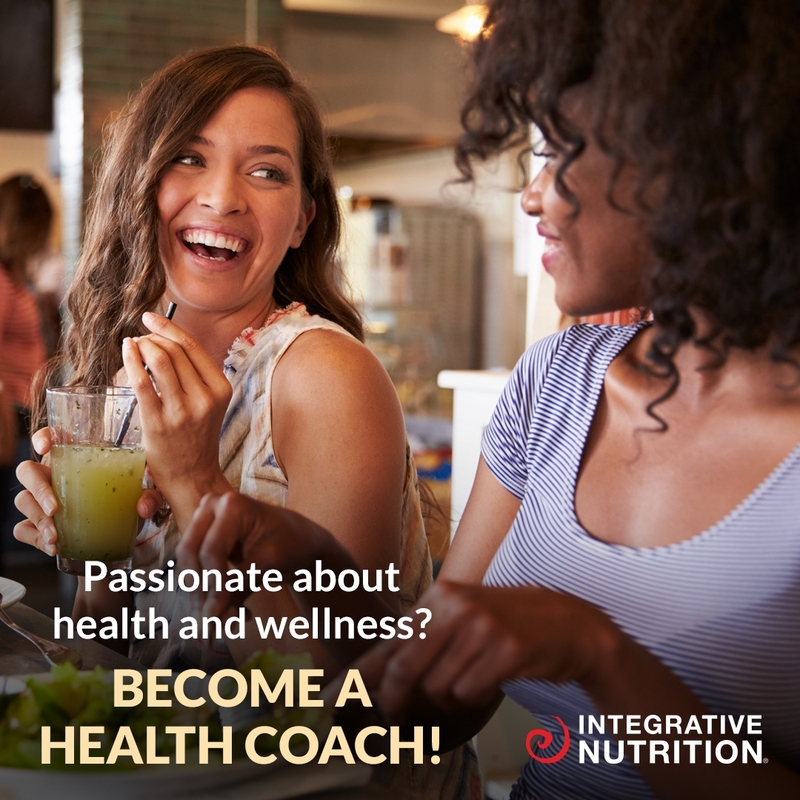 When you finish the Health Coach Training Program you will be able to apply core skills in business, marketing, integrative health, holistic nutrition, coaching and personal development to establish, operate, market and sustain a health coaching practice. Each course activity is an action step in the direction of developing your practice while transforming your own personal health. Does IIN cover environmental issues and sustainability? 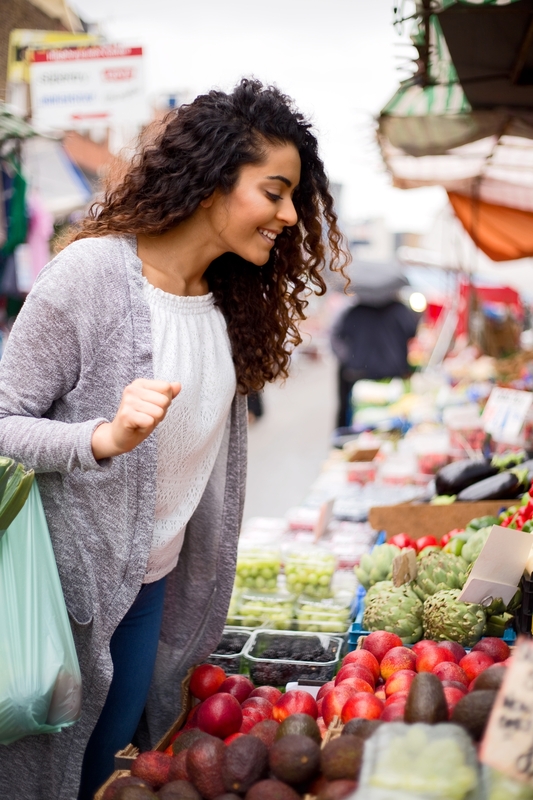 Beyond personal health, IIN teaches how food choices impact the sustainability of the world. IIN sheds light on issues such as the use of pesticides and bioengineering, global warming, deforestation, water and air pollution, and animal welfare. I’m not sure if I’m ready to enroll. What’s a good next step? Set up a call with an Admissions Representative by calling 877-733-1520 or email admissions@integrativenutrition.com and let them know Gabby sent you! Even if you’re not ready to commit, they can discuss your goals in studying health and wellness. Spirit Junkies, you know I’m passionate about helping people manifest their big visions and live authentic and fulfilling lives. That’s why I’m so behind The Institute for Integrative Nutrition. IIN’s mission is to make the world a happier, healthier place by training people to become Health Coaches. I’ve seen the incredible impact through my own friends’ successes! IIN was talking about meditation, kale and kombucha long before they became trendy. My friends at IIN have known for a long time that food changes everything, from your relationships to your career, and that nourishing yourself is key. For more than 25 years, the school has been training Health Coaches to transform their minds, bodies and souls while helping others do the same. Check out this free sample class to get all the essential info about the Health Coach Training Program! IIN graduates learn not only 100+ nutrition theories, but proven business and marketing strategies, too. They apply their knowledge in tons of ways, like one-on-one health coaching, public speaking/webinars/workshops, corporate wellness and more. If you’re ready to become a health coach, give me a shout-out in the comments! When we publicly claim our desire we put a lot of energy and momentum behind it! Claim your commitment now by sharing your wellness journey in the comments. This simple step will bring you so much closer to serving the world. Take a look at these stats and you’ll understand why the world needs more health coaches! The training teaches you how to launch your new career within a year. They have some of the best health teachers in the world featured in their nutrition program. In addition to becoming a educated health coach you’ll also learn coaching AND business skills — so you’ll actually know how to make money helping people. You can learn/access anytime, anywhere because the course is totally digital! Reviews: 9.1 TrustScore on Trustpilot. The training offers incredible support, encouragement, & a network of like-minded people. 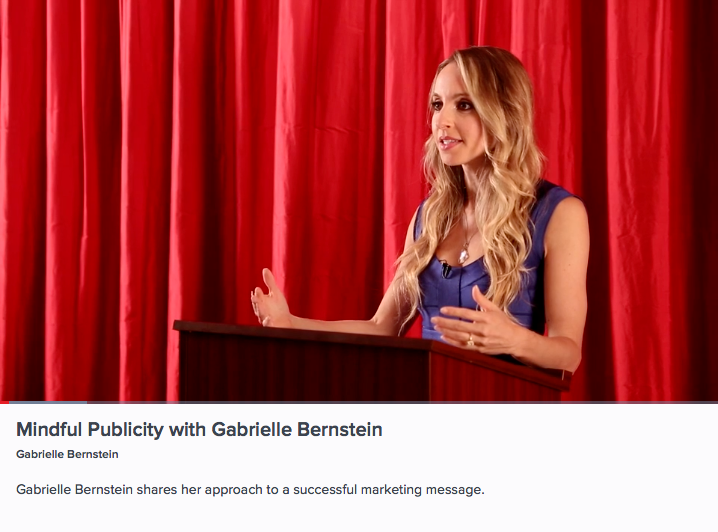 Take advantage of IIN’s free training. 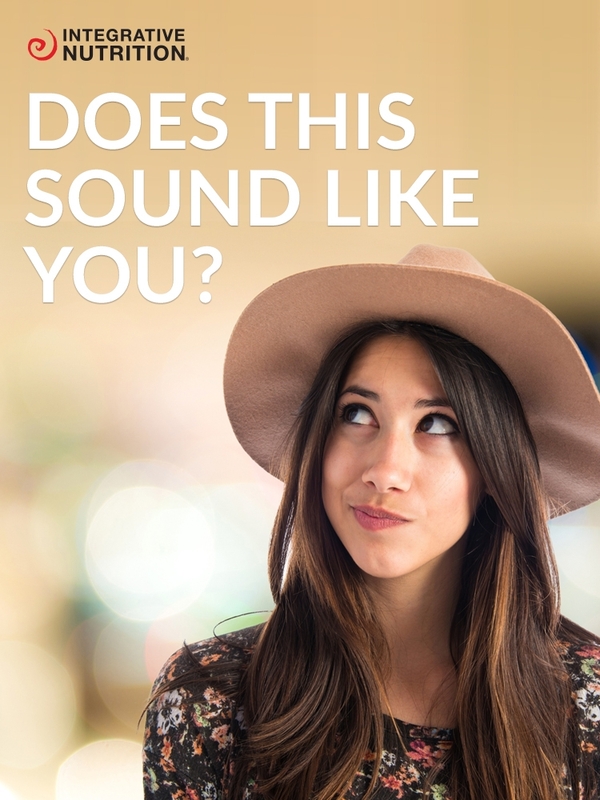 Register now for a free sample class to find out what the IIN is all about. When you call 877-733-1520, they’ll talk you through your interest in health and wellness, your goals, and whether the Health Coach Training Program is right for you. Or you can fill out an application here. I followed my calling and today I live a life beyond my wildest dreams. When we say YES to our dream, we send a powerful energetic message. The Universe responds by hooking us up with everything we need for success, abundance and happiness! I believe in IIN’s mission and program. I believe the world needs passionate, educated Health Coaches who feel called to serve others. If you’re ready to start your Health Coaching journey (or just learn more about IIN’s program), fill out the application or call 877-733-1520. Don’t forget to drop a comment below! Share your own health journey and declare your readiness to turn your passion for health and wellness into an abundant career! Gabby, I have been reading your books and have always been very interested in nutrition and spiritual growth. Lately, my job has been taking all the happiness out of me, so I turned to your teachings. Listening to you, I had the thought to become a life coach which somehow sent me to IIN. I know this is the right path for me, and I am so excited for this new adventure. I’ve always been resistant to the health practices and medicines that are widely practiced today. Holistic approach has always pulled my heart strings and I truly believe illness’s can be prevented by living a healthy lifestyle. I’m excited to start a career as a holistic health coach so I can create a positive change in peoples life and my own. Go Kimberlyn! Excited to read this! Being a cardiac nurse for the last 14 years, the amount of bounceback patients I have seen is proof enough for me to know the current system is not working. I feel called to help prevent these readmits by educating and empowering patients to know the effects of what they put in, and in their bodies. I want to awaken patients to their personal power! I have looked at many institutes, tried to decipher btw health coach and wellness coach, and stuck on how I can incorporate my RN with health coaching. I love that the IIN will help me build a business to help me navigate those waters. Thank you for this scale-tipping post. I will be calling them this week! Fabulous Lori! All of us at Team Gabby are excited for your journey ahead! Great article Gabby. I have actually just graduated from IIN and really enjoyed the program, as well as your workshop. Now I am beginning my health coaching journey and am excited to see what the future holds. Congrats Aaron! Excited for your continued journey ahead! Hi Gabby, Thank you so much for this post. I am a recently divorced physician and mom of 3, slowly going broke from supporting my attorney ex-husband. I am overwhelmed, exhausted, and unhealthy. The emotional, physical, and financial toll the divorce has taken on me is so much more than I expected when I decided to end my unhappy and unfulfilling marriage. I have been trying to change my life. I’m a Miracle Member. I’ve been meditating and doing mirror work. I’ve read and watched The Secret. I read blogs, listen to podcasts, purchase online courses and memberships, and know I’m meant to live a happier, more abundant life with more time for my children. I work long hours (but love my job), but have been looking for a “side-hustle ” to help me supplement my income so I can pay my bills and save a little for my kids’ college and my retirement(I’m not exaggerating about going broke). My dream is to eventually work part-time as a physician and focus on my passion. I just didn’t know what that was, but knew I wanted to combine my medical knowledge with my interest in a healthy lifestyle and holistic wellness practices. I came across IIN and thought I had found my answer! I googled IIN reviews and came across a fair number of negative reviews and complaints to the Better Business Bureau. However, I did see some positive reviews and then found yours. I’ve gotten so much inspiration, strength, and positive energy from my Miracle Membership, your books, your blog, etc. I was hoping you could address some of the negative reviews of IIN, including that they “let everyone it” just for the money. I’m going to continue to ponder it and do my research, but would love to hear what you have to say. Thank you! Thank you, Gabby, I’m working on overcoming my fear. My initial reaction to finding information about the IIN program was that I finally found my answer. I enjoyed the glow of excitement and hope for about two hours before fear dimmed my excitement and my limiting beliefs caused me to doubt myself. I will meditate on it. Thank you again. Hello Gabby ! i have been doing some research on health coach and stumbled upon your website! Thank you for the information on IIN, i was wondering if you could give me some insights the course between IIN and Functional medical health coach? I am in delibrating on which to enrol. Hope you could give me better perspective of the two. Awesome Winnie! I’m not a functional medical health coach and would encourage you to do some research and even connecting with people in the field. The admissions team at IIN might have some insight on this as well. After doing your research, check in with that inner guidance to see what you most feel called to do. Excited for your journey ahead! Just found this article. looked at IIN a few months ago, but talked myself down; really feel that I need to look seriously at this for my future. I want to learn more about my own needs and was about to pay to see a nutrition person, but feared they would be so narrow. It would be so awesome to learn what I need individually!! I hadn’t thought about it from that perspective. Thanks for your input. Grateful that this resonated with you! Get the Sample Class Now!